Pink Champagne Small Discounts Apply ! Made of Finest Pink Curly Mohair. 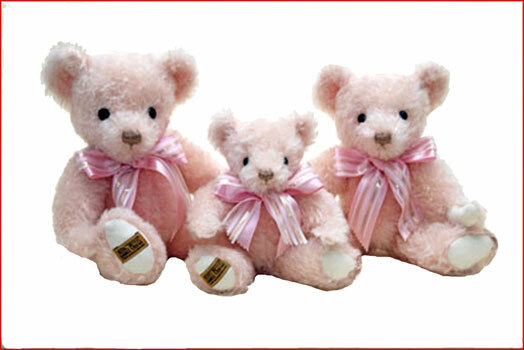 Here’s is The Pink Champagne Bear with Pink Mohair and has a Pink and White satin Ribbon Tied In a bow around the neck. Has The Merrythought logo on The foot which is the mark of a Trully British Made Bear. Pink Champagne Bear Small is part of Merrythoughts range. He comes with a Label in the ear. I AM CENTER OF THE PICTURE.